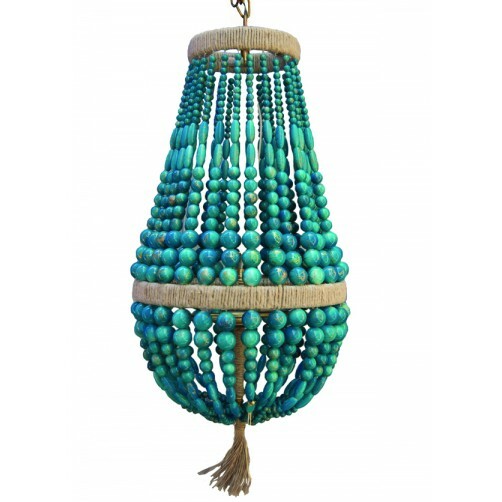 The Small Malibu Up Chandelier delivers an elegant and classic aesthetic to any decor. 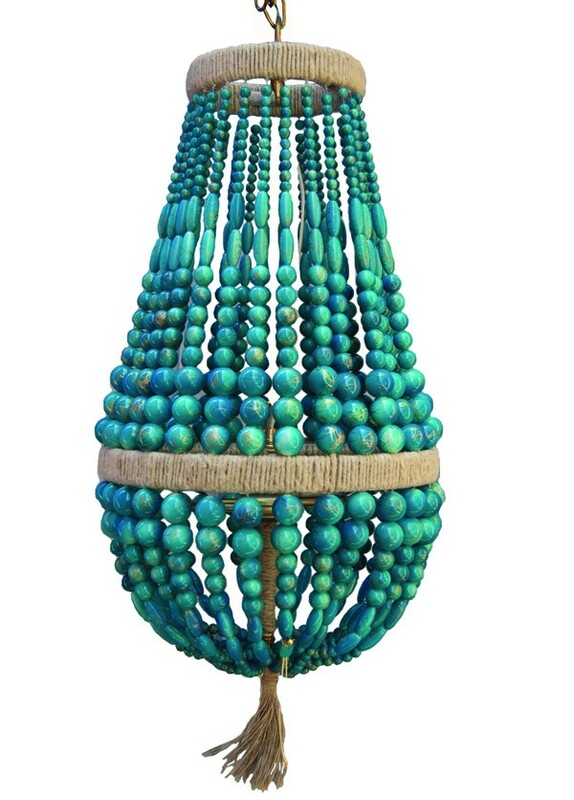 Featuring a hemp-wrapped round frame, beautiful cascading arrangement of Turquoise Swirl beads in a solid drop curved shape for visual interest. 36" of chain. Canopy Included.